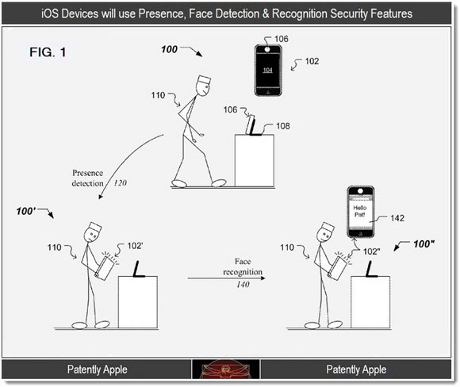 A patent filed by Apple outlines a unique way of using facial recognition that's energy-efficient and couples with a multi-user environment for devices like the iPad. The patent outlines a very interesting way to implement a low-energy version of facial recognition alongside presence detection. Atleast 4 years away this tech is! you mean apple have patented a way to fix and obvious flaw in their ios products that they are only useful to single users and cant be shared with others securely by default by using pre existing tech that has been done thousands of times before? How novel! apple should enter the comic industry with such elegant stickfigures. Really you have the cojones to say unic..please android OS has this feature idiot..! !